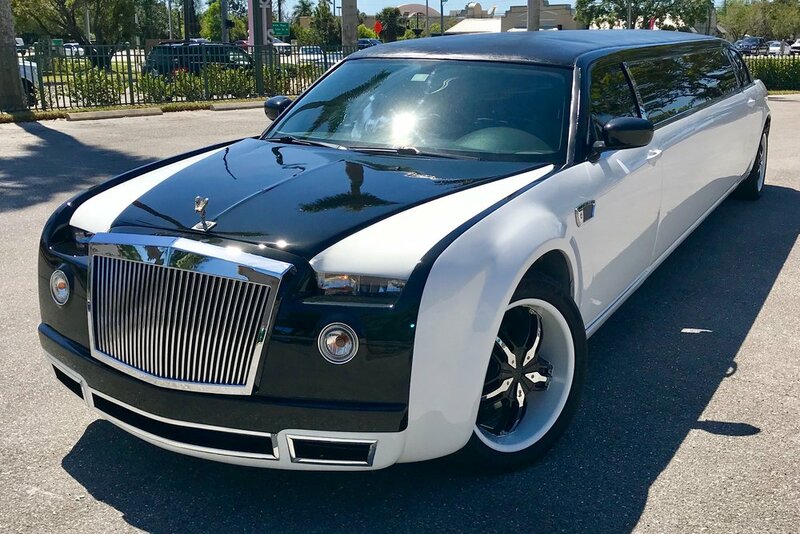 As if VIP Limo Service's Rolls Royce Phantom 300 stretch limousine wasn't stunning enough already, it's absolutely "phabulous" now with a gorgeous new black-and-white paint scheme and matching wheels. The black highlights include gold fleck, which adds both depth and brilliance. This one-of-a-kind, ultra-luxurious limousine has always turned people's heads. Now it stops them in their tracks. Whoa! So be sure to call us at (239) 860-5466 to reserve the Rolls Royce Phantom 300 stretch limousine for your special occasion. Besides a beautiful ride, we'll provide you exceptional service and red carpet treatment for a truly amazing VIP experience you'll never forget.